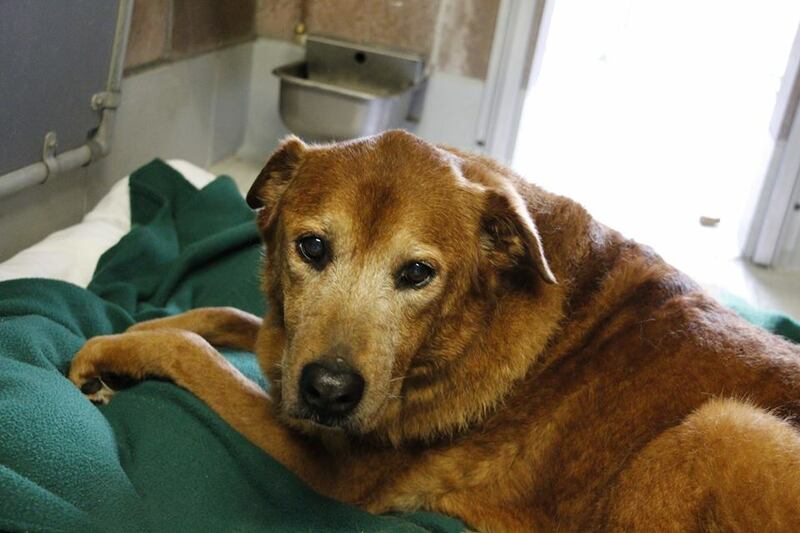 Goldie is a 10-year old Golden Retriever Mix whose owner dropped her off at an animal control shelter. 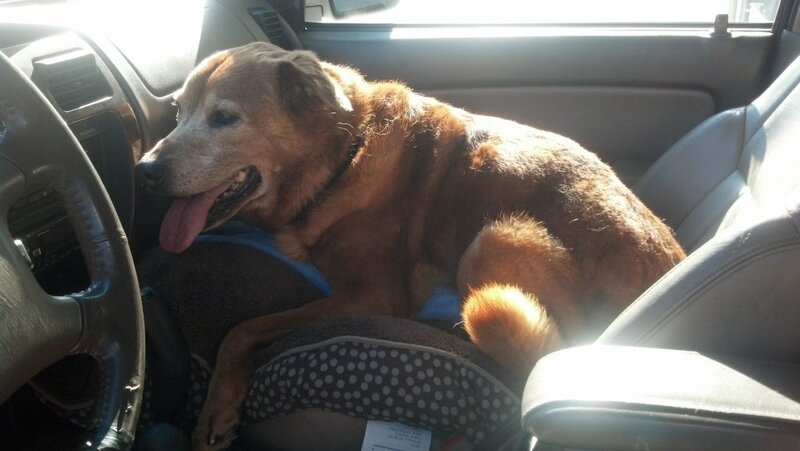 As a senior, surrendered by her owner, we knew Goldie didn’t have much time. Stray dogs have a five-day hold to give their owners a chance to claim them, but an owner-surrendered dog doesn’t get that time. Goldie’s clock started ticking the moment her owner turned around and walked away. So we started emailing rescues. We emailed and emailed and picked up the phone and then emailed some more. In the meantime, it was a good adoption week at the shelter, which created open kennel space and bought Goldie some extra time. And then, just when we were losing hope, we received an email from Save-a-Life, a local Savannah rescue. They said they would take her, just let them know where they needed to be and when. The next day we headed over to the shelter after work to pick Goldie up and transport her to Save-a-Life. 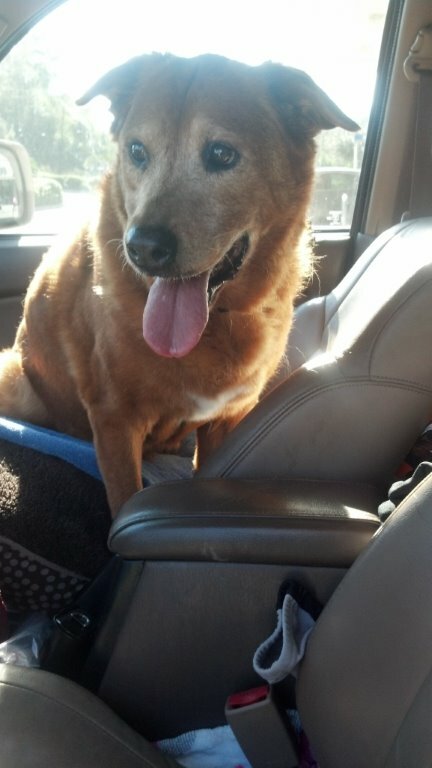 This was one of our shorter transports as they were just across town, but Goldie was scared and shaking in the back of the car so we stopped and moved her up front (even though you can tell from the pictures below that she is clearly too big for the front seat). But that seemed to make her happy. We are so grateful to Save-a-Life for helping us get Goldie out so quickly. This poor girl was confused at the shelter. Unlike some of the dogs who come in as strays, having already been down on their luck and out on their own, Goldie woke up one morning at her house like she always does and ended up that afternoon in a noisy shelter. How confusing and scary that must have been for her! Goldie is currently available for adoption: Other than some stiffness in her hind end – nothing unusual for an older dog of that age/size/breed – she seems to be in good shape. If you’re looking for a mellow companion, Goldie’s your girl. You can email us for more info or find her at: http://www.petfinder.com/petdetail/27787315. Thank you, Save-a-Life! Goldie has found her forever family! We received a call on Monday from our friends at Pound Pups In Need because a woman called them to see if they had any mellow dogs for adoption. She said she was open to adopting an older dog so Pound Pups put her in touch with us and, as she was describing what she wanted, we immediately thought of Goldie. We connected her with Save-a-Life and she and her family adopted Goldie that same evening. 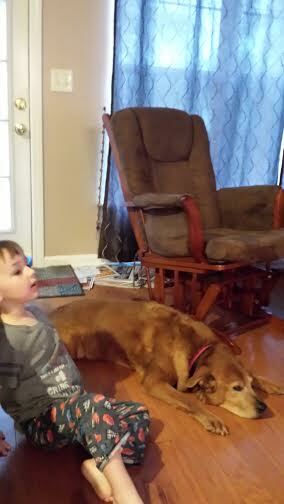 Goldie now gets to spend her days relaxing in a loving home watching Mickey Mouse cartoons with her new brother. Hooray for teamwork and for people who open up their hearts and homes to senior dogs!